I’m not here to tell you who to vote for. I’m just here to tell you why you should. 1. Even if none of the Prime Ministerial candidates seem ideal, starting October 20th, one of them will be our national leader whether we like it or not. “None of the party platforms align perfectly with my values and I just don’t think I can get behind any of their platforms in good conscience.” Sound familiar? Voting for a particular party doesn’t mean you support everything that they do, just like being friends with someone doesn’t mean you condone every single decision they make. 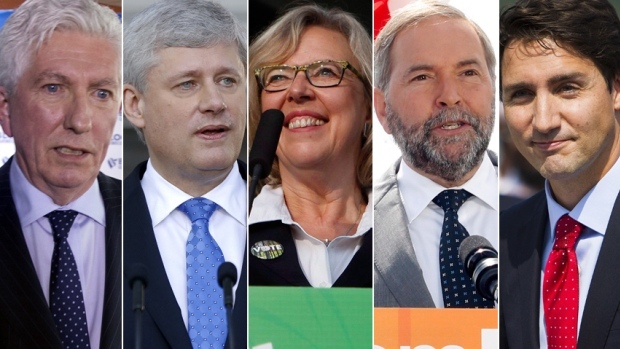 No one is perfect, and that is certainly the case for our Prime Ministerial candidates. Voting for one of them just means that you prefer them above all of the other options. Better may not be best but better is better than worst. 2. Whether you vote or not, you are responsible for the outcome of the election. We’ve all heard the argument before. It goes something like this: “I would vote, but I don’t really know much about politics or the election and I wouldn’t want to vote for the wrong person so I’ll just leave it up to people who know more about it”. Makes sense, right? Wrong. If you are an eligible voter, then sure, placing your vote makes you responsible for the outcome. But here’s the thing – if you are an eligible voter and you choose not to vote, you are equally responsible for the outcome of the election. Enter cheesy metaphor: your vote is like a puzzle piece and every eligible voter gets to have one. The outcome of the election is like a puzzle and if the image is distorted, your missing puzzle piece is just as responsible for that outcome as any misplaced puzzle piece. So if it’s the responsibility that you’re worried about, it’s an unavoidable reality. You might as well vote. Spend 5 minutes today to educate yourself and make an informed decision. Check out the links below if you’re not sure where to start. 3. Having the ability to vote is a privilege and there are hundreds of thousands of people living in this country who wish they could vote, but can’t. When people make the point about eligible voters having privilege, they often reference people in developing countries in autocratic regimes who would die for the right to vote. As valuable a comparison as that may be, it’s important to recognize that there are people right here living in Canada who do not have the right to vote. They live here, they contribute to our diversity and our economy and the richness of this nation, the outcome of this election will affect them, and yet they don’t get to have a say. These are people like the permanent residents who have spent years living here and who have not been able to acquire a Canadian citizenship. These are the politically active young people who are almost 18 years old but not quite there yet, the young people whose lives will be most affected by the decisions we voters make in this election. These are the international students who spend many years of their lives getting educated in our schools and contributing to our economies. None of these people get to vote, but they live here, and who we vote for affects them in a really big way. So the few of us who actually get the privilege to vote, should vote – not only for ourselves but for those who can’t. 4. Our ability to vote is what makes Canada a democracy. If we don’t vote, we aren’t really a democracy. You know how down south, President Obama’s term is coming to an end next year? In the US and in many other countries, a country leader’s time in power has an expiry date. Not in Canada. Whereas US Presidents can hold power for up to two terms for 10 years maximum, Canadian prime ministers can hold power indefinitely. Stephen Harper has held power here since 2006 — for almost an entire decade — and if we don’t elect someone else this time around, he would begin his third term in power – something that isn’t even allowed in the US. The thing that limits a ruler’s power in a democracy like Canada’s is our votes. If we choose to vote him out, his term comes to an end. If we choose to let him stay, then he stays, indefinitely. 5. If you’re afraid of change, then allowing the same party to rule doesn’t necessarily mean that there won’t be any change. Change is inevitable, no matter who is in power. Many electoral campaigns focus around the idea that it’s “time for a change”, implying that if we don’t elect a new party things will stay the same. A lot of you may want things to stay the same. But it’s important to realize that even under the same government, a lot has changed within the last 9 years between elections. Power drives change, whether we give it to a new leader or leave it in the hands of the Conservatives. Voting for the conservatives will cause changes, because it will give them power to implement policies that they haven’t implemented yet. Voting for a new party will cause changes too, but in a different direction. Voting is about choosing a direction for the many changes that will ensue under any party. We can’t change the fact that change will happen, but our votes can influence the direction in which the change occurs. Nothing is certain, but that’s what makes getting to vote so empowering. Anything is possible. Convinced? Check out these sources below for quick and easy access to learn more about the different political platforms and some different strategies you can use to make your vote as influential as it can be on election day — Monday, October 19th. I sure wish I saw this before the election, I would most definitely have shared it with my network! Well articulated and passionately written.